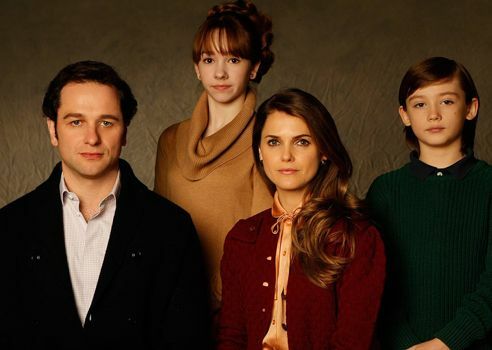 Right now my husband and I are binge-watching the period TV show The Americans. Set in Washington, DC in the Ronald Reagan ’80s, the program follows two KGB agents (pictured above) posing as an American couple and carrying out covert operations. They speak without accents and are able to keep their identity secret not only from outsiders but also from their own children. The show is more violent than I like (I flip down my laptop screen when the violence starts) but it’s also addictive and we have been known to watch three 45-minute episodes in a row. Not something I normally do. Occasionally, I also binge eat. We celebrated Canadian Thanksgiving the weekend before last and I ate way more turkey and stuffing than was good for me. It leads to burnout: Writing is best accomplished through the slow and steady accumulation of words. (Remember that story about the tortoise and the hare? Do you recall who won?) Let’s imagine you write for six hours today and produce 4,000 words. Guess what? You’re certainly not going to feel like writing tomorrow. You’ll be too tired and you may feel as though you’ve run out of things to say. This feeling of burnout can continue for an astonishingly long time — and, ironically, the more “successful” your binge writing session has been, the longer the burnout is likely to last. It will hurt your creativity: Many writers tell me they want to binge-write when they have a creative idea. “If I don’t write it, I’ll lose it,” some of them say. Others tell me, “I really love it when I get into ‘flow’.” That much vaunted feeling first identified by Hungarian psychologist Mihaly Csikszentmihalyi — where the words seem to flow effortlessly from your fingers — is indeed delightful and compelling experience. But the downside of binge-writing is that it will reduce your creativity. Creativity requires relaxation and distance and pondering — not hours of work pounding words on a keyboard. You’ll accomplish less overall with binges: Writing a long-form project — such as a book or a dissertation — is a marathon, not a sprint. If you’ve ever run a long distance you’ll know that you have to carefully guard your energy so you have enough left to finish the event. Exactly the same is true of writing: You can write 1,000 words irregularly which may net you 20,000 words per year. Or you can write a mere 200 words per day (five days a week.) Do the latter and you’ll have a 52,000-word book by the end of the year. You’re more likely to suffer from depression: Research by American psychology professor Bob Boice shows that binge writers score higher on the Beck Depression Inventory — one of the most widely used psychometric tests for measuring the severity of depression. I’m not a scientist myself but if you’re interested in learning more about his research, I suggest you read his abstract. You’ll lose time “reacquainting” yourself with the material you’ve already written: Because, by definition, binge-writing is not sustainable — you just cannot do it day after endless day — you will have greater gaps between your writing times than if you develop a daily schedule. As a result of these gaps, you’re going to lose familiarity with whatever material —fiction or non- — that you’re writing. Thus, each time you sit down with your work, you’ll have to spend time re-reading and re-acquainting yourself with the topic. This extra time would be unnecessary if you maintained a daily writing schedule. You’re expecting too much of yourself: The success of the Kaizen habit, developed by the Japanese after the Second World War, shows that it’s impossible to begin with “too small” a goal. There is no such thing as too small. But the reverse is not true. Goals can be way too large and therefore discouraging and dispiriting. Expect too much of yourself and you’re far more likely to become discouraged and quit. You’ll develop a distaste for writing: If you write in binges, your motivation is more likely to be guilt and anxiety rather than the fun and reward of the process. Why would you turn writing into something that you want to avoid? And if such events hold no appeal for you, don’t worry. The diligent tortoise who shows up to write every day — even if only for 10 minutes — is far more likely to succeed than the binge-writing hare. Do you ever binge write? How do you feel when you’re done? We can all learn from each other so, please, share your thoughts with my readers and me in the “comments” section below. Anyone who comments on today’s post (or any others) by Oct. 31/16 will be put in a draw for a copy of the novel Circling the Sun by Paula McLain. Please, scroll down to the comments, directly underneath the “related posts” links, below. Note that you don’t have to join the commenting software to post. See here to learn how to post as a guest.